We all believe North Carolina’s land is worth protecting and sharing. This week we’re launching a statewide movement to help millennials discover the places they’ll love for life! Millennials care about conservation. If you’re a millennial, read on! We want to help you get outside and get to know your local land trust. If you’re the parent, grandparent, cousin, or friend of a millennial-aged North Carolina outdoor enthusiast, share your passion for our land by forwarding this email. There are so many easy-to-get-to places where you can enjoy nature for free across our state! Grab your friends or just escape from it all. 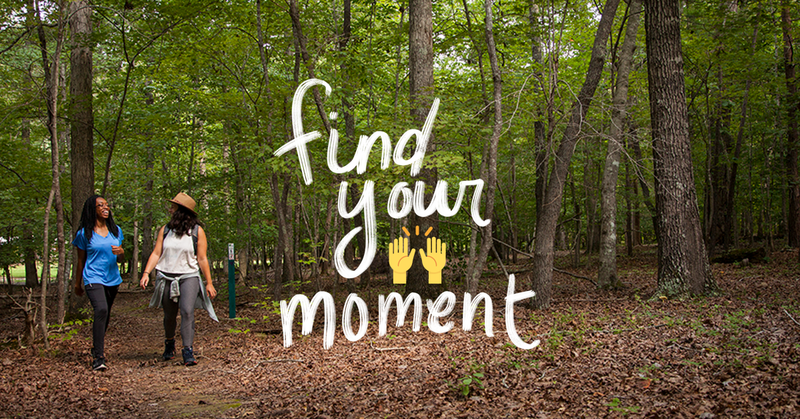 Discover the most “grammable” places at a public trail, river or park close to you. Download our map to find your #myNCmoment.